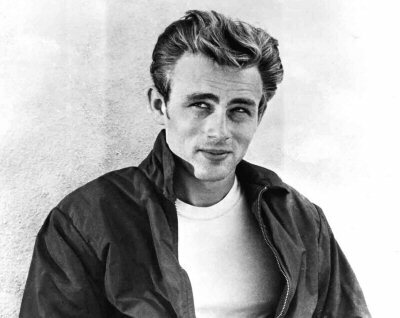 Product placement has been around since James Dean combed his hair with an ACE Flex pocket comb and sales quadrupled. Sony, Coke and other big boys immediately jumped on the product placement bandwagon. “Risky Business” and “Men in Black II” gave a boost in sales to Ray-Ban sunglasses. “Back to the Future” promoted several Pepsi products. “You’ve Got Mail” promoted AOL and Starbucks. And, “Cast Away” successfully teamed with Fed Ex and Wilson. Satires and Parodies also jumped into the product placement game with “Wayne’s World” and “Josie and the Pussycats.” The latter, having 27 products placed within the film, a parody of massive proportions. Michael Bay (Transformers, Armageddon, Pearl Harbor) and partner Scott Gardenhour (Pearl Harbor, Jumper, Coyote Ugly) teamed together to create The Institute, a multi-platform media company that integrates creativity with brand marketing. They believe in innovation and finding the right balance between products and story, to drive consumer demand. Filmmakers have always been in need of funds and Brand Managers have always needed story to promote their products. Frankly, it makes sense for the two to come together in a way that enhances the story and doesn’t detract from it. Bay’s Institute is already exploring numerous stories that promote products by drawing the audience into the story that encourages them to accept the product without any real consideration. Corporations love this new approach as it demonstrates their product in a good light and helps the future buyer remember the product in conjunction with the great feelings the film attributed to it. The key is making sure the right storytellers connect with the right products, to ensure a seamless partnership that everyone accepts without feeling pulled out of the story and into an ad. This same innovation works in reverse, as Bay made a couple commercials with memorable stories that brought a smile to the viewers face and introduced him or her to a specific product. The Levi product story promotes future dreams and the Audi story promotes a more nostalgic look at love and making the wrong choice. The more integrated the product is within the story, the greater the ability of the audience to receive the related feelings through future associations – A strong selling point for any product. However, to avoid the story turning into a bad job of product placement, it must be done in an artistic and creative way that moves the story forward. When successful, everyone accepts the reality of E.T. eating a Reese’s Pieces. Hershey saw its sales go through the roof with a 65-85% increase in sales. To this day, I’m sure Mars is still wondering why that executive turned down Steven Spielberg’s request for M&Ms to be in the film. When story and product match up well, all parties win big. The key is finding the right product that fits the right audience with the right story. Anything less than that makes the sad attempt appear to be a parody without effort, which is a lose/lose scenario for all involved. What type of story would you tell and to what audience? Is there a product that naturally fits the story and the audience? Most independent filmmakers can’t place products in their stories because they don’t take the time to use the science that determines what audience the story is geared toward, let alone what product fits it. Independents love to throw ideas together fast enough to shoot something, rather than planning a story that properly integrates a product with its symbolism and theme. But for the filmmaker who can figure out this new process, they will be in filmmaking for years to come, while others scrape for enough funds to shoot their next picture. Fascinating. I’ve already written into my script some products that work seamlessly with the story. Now I have to see if I can work out the details to get support from the companies to include those items. It certainly seems like it should be a win/win situation. Looking into what Bay and Gardenhour have done can give us further insights into how this is accomplished artfully. Thanks for the great post.